What is the last new thing a cell phone could do that truly amazed you? I haven’t been amazed by cell phones since I saw live video streaming from them. The pictures have gotten crisper and the video looks better and better over the years, but nothing new that a cell phone has done has amazed me. Of all the companies in the world, the one who may change this is RED. Yes, the RED, the innovative camera company. 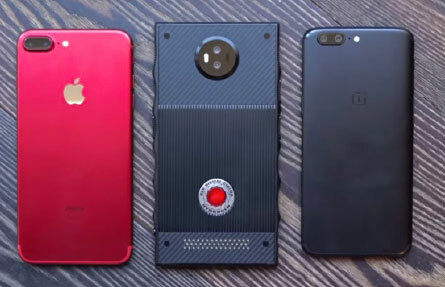 The RED Hydrogen size vs the competition. Image courtesy of Marques Brownlee. RED has announced that they are going to offer a cell phone in early 2018. They are calling the phone the “Hydrogen“. It promises to be the “World’s First Holographic Media Machine.” It promises to be able to “seamlessly switch between traditional 2D content, holographic multi-view content, 3D content and interactive games.” But what does that mean? 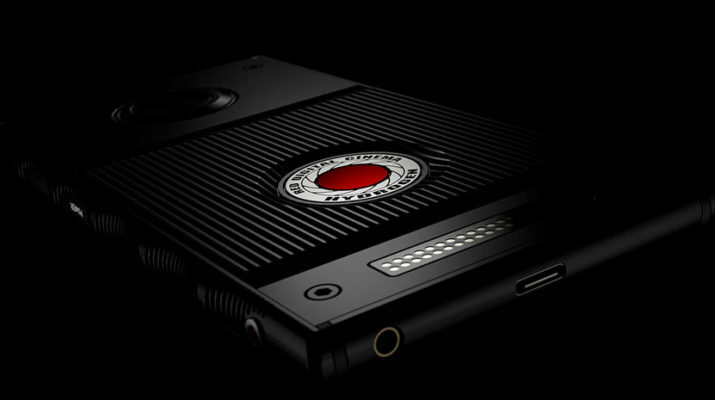 It means that this RED claims that this Media Machine (née cell phone) can have holograms appear and then seamlessly switch back to a traditional 2D screen. It seems like it’s impossible, but according to RED, this is just months away. Everyone who comes out with a cell phone tends to focus on a few features to make theirs stand out, but no one has shifted their total focus to be the optics and camera. And why wouldn’t the company that focuses on that, be an optics company. The Hydrogen will run on the Android OS (Operating System). You will see your Android OS just fine on this phone’s massive 5.7 inch screen. But what will make it special is you will be able to view RED’s Hydrogen 4 View Content (also known as H4V). This is the what will generate the holograms. And in 3D’s “last stand” the device will also support 3D. The phone will also support virtual reality (VR), augmented reality (AR) and mixed reality (MR). But what does that mean? Does that mean that these mixed realities will be presented on the holograms? Only time will tell. When it comes to storage on the Hydrogen, the only announcements about hardware is that there is an internal memory card, a micro SD card slot, a headphone jack, a front facing camera, a rear facing camera, and a USB-C slot for charging and moving data. 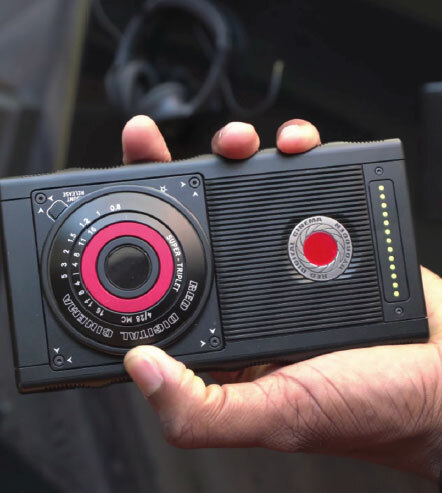 Other features include the ability to be a touch screen monitor for other RED cameras and it will support modular attachments. Last but not least, you can choose the cell phone carrier, so you aren’t locked into a proprietary deal. It’s also rumored that the Hydrogen will be running with RED’s Helium sensor. It’s been said that that Hydrogen will have superior image quality for a mobile media device, but it won’t be cinema quality just yet. It also can’t be ignored how secretive that RED is being about the phone. No one has seen a working demo of it in action. The only thing that has gone out to reviewers are an empty shell of the phone that will give you a tactical feel in your hands, but nothing more. People who have seen the holographic part have all signed NDA (Non-disclosure agreements) so no one is talking. Yet people are preordering the phone. If you head over to the RED User Forum, you will see pages of people on threads saying that they have pre-ordered the phone already. Why? It is because as a company, RED is magical and they always seem to accomplish the impossible. People believe in RED. Every time I leave their booth at NAB, I have goosebumps. If there is a company that could put holograms in our hands like every sci-fi movie, it makes sense that it’s RED. Hydrogen will release on two tiers. The Aluminum will release for $1195 and the Titanium will release for $1595. The back of Hydrogen is supposed to be a mix of metal and Kevlar. But the rest of the phone is going to be made of the metal that you order whether its aluminum or titanium. RED says these media machines will release in Q1 of 2018. Will RED re-invent the cell phone? Time will tell. For the broadcast and television industries, the most important trade show of the year is NAB. Annually held in Las Vegas, Nevada, the NAB show is THE platform for vendors and manufacturer to show their latest offerings. There is an underbelly of competition on the show floor as each manufacturer tries to upstage their competition. People will talk about the fallout of the NAB show for months to come. With New England being one of the technological hubs of the United States, it is no surprise that region will have a plethora of talent represented at NAB. This month in Tech Edge, we will look at some of the bigger manufacturers from New England and how they will impact NAB 2017. Facilis is based in our Hudson, Massachusetts and is one of the leaders in the storage space for the television and broadcast industries. When Facilis started as a company, their only wheelhouse was shared storage so that many editors could collaborate on the same media and projects. Now they have opened up their offerings to include answers to video archiving and asset tracking. This offers their customer base to get a nearly end to end post production workflow without too many holes in it. Facilis’ three pillars of offerings are led by TerraBlock on the shared media storage, Fast Tracker on the asset tracking front, and for an archiving answer, they offer all tiers including nearline storage (which is a quasi-archived format) and LTO storage by partnering with Archiware, and Facilis even offers a cloud based archive solution. With all these offerings, it’s hard to imagine what surprises Facilis has in store at NAB, but I’m sure it will be great. You can see how at booth SL7920. Coming out of one of the most innovative places in the United States is one of the most innovative companies I have seen in recent memory. 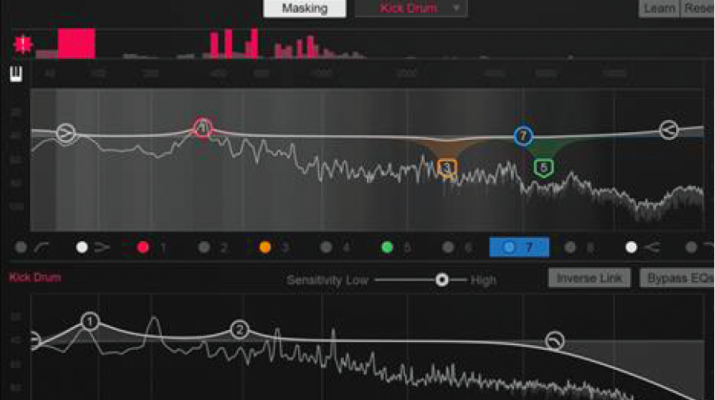 From Cambridge, Massachusetts, Izotope has created plugin-ins and tools that really ride the fine line of innovative and job threatening. Their plugins work so well, that audio engineers have to feel threatened by it, but are so easy to use that anyone can get going on them and improve their audio mixes. compressors to get this same effect. Now Izotope has automated it where you can see the frequency collisions in a graphical interface. Being able to reproduce audio frequency spectrum in a graphical interface is reallywhat makes Izotope’s products so innovative. I have seen many demos of Izotope’s products that have left rooms nearly speechless. Neutron offers a ten day free trial, so by all means try it. But keep in mind that where this is an audio plugin, there is no current support for non-linear editing software. So to try Neutron, you need to be using audio editing software such as ProTools, Logic, Cubase, Reaper and a few others. 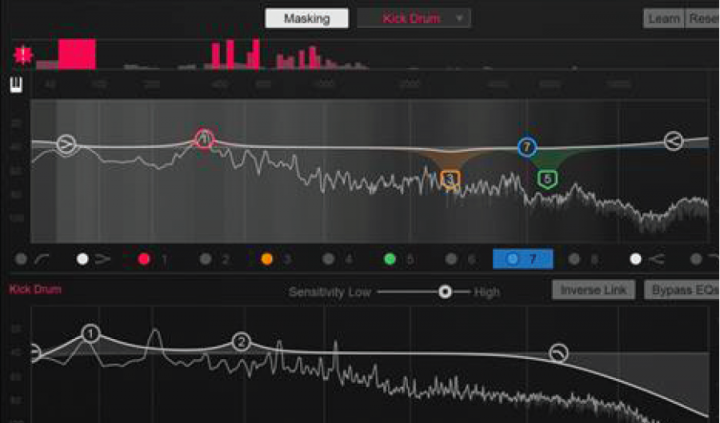 It’s hard to envision what Izotope will come up with next, but you can see them live at NAB at booth SL9308. Genarts has had a terrific year with the rollout of Sapphire 10. The best of Sapphire 10 includes a new effect called “Luna” that allows you to add photo realistic lunar cycles into your video. 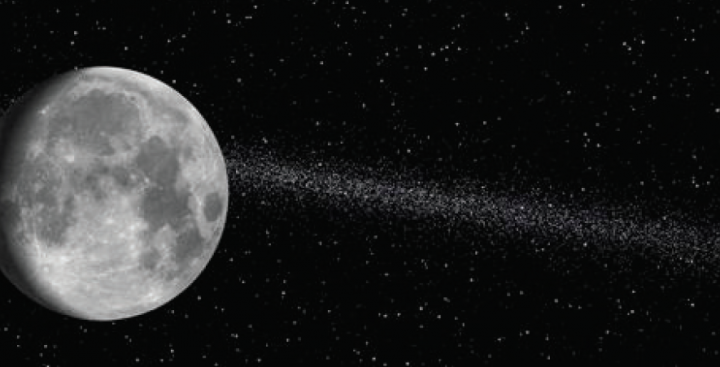 Whatever kind of moon you want, Genarts can create it. They also have added some new effects that include some stunning mosaics, over 150 new presets (for a total of over 3000) and they are HDR ready. On the Boris side, Continuum has some new effects of their own. Their new effects seem to center around fixing images with effects such as BCC Remover, Dropout Fixer, and Reframe. Conversely, if you want to make your images messy, they can provide that too with the BCC Video Glitch. They even offer a new browser to see the effects. They are now offering “Units” of both the Continuum and Sapphire plugins allowing users to take on bite-sized groups of plugins. They are broken up into categories like Stylize, Blur and Sharpen, Render, Time, Transitions and many more. With so many visual effects between the companies, you will be dazzled in their booth. You can visit Boris FX at booth SL6824. This NAB is gearing up to be exciting as always. Next month in Tech Edge, we will go over some of the NAB fallout and discuss what new and innovative products have been announced. Steve McGrath is a Broadcast Sales Engineer for HB Communications. He has worked with NBC, ABC, CBS, NESN, NECN, Fox, ESPN, Pentagon, Powderhouse and many others. You can reach him at Steve.McGrath@ HBCommunications.com. Learn more, visit www.HBCommunications.com. 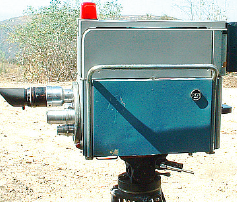 This year they are exhibiting the latest in Television field acquisition equipment for 1952. If you are old enough to remember, that would be the RCA TK-31 (the field version of TK-11). According to Tom Sprague, Chief Engineer at National Boston, “We hope to have two of them making pictures, not great pictures, but pictures none the less. Prior to this time Television was live and immediate, leaving a permanent record only in the minds of the viewers. Sixty years ago that all changed! In 1956; in twin events, one in Chicago at the predecessor of the modern NAB Convention, and one in Redwood City, California; Ampex Corporation introduced to the world a practical means of recording television signals on magnetic tape. They called their new product Videotape! stamped on every piece of equipment you would find in a network or local television station. 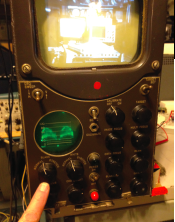 The Museum of Broadcast Technology is not supported by any government grants. It’s a public charity. It receives moderate donations, mostly from people who have a connection to the industry or corporations that are still involved in the industry. Ideally, several modern day giant high tech companies, standing on the shoulders of television’s early engineering and manufacturing feats and dancing on the decks of RCA TK-11 and TK-31 would step up and underwrite the Museum’s efforts for educating future generations about their noble past. September 9, 2016 is a day that will live on in post-production history. It was the day that Boris and GenArts finally merged. It is the merging of the most beloved post production plugins on planet Earth. To post production professionals, this is Ross and Rachel, Jim and Pam, and Sam and Diane all at once. This is the ultimate dream couple for anyone who edits as these products serve everyone in post-production. It doesn’t matter what you use whether it’s After Effects, Avid, Premiere, Final Cut, Resolve, Nuke, Smoke and more. The ripple effect to this reaches everyone who sits behind a computer to create in post-production. 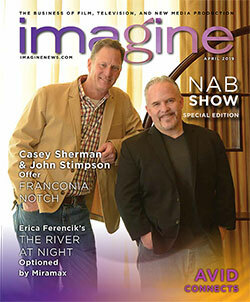 Boris FX owner, Boris Yamnitsky, (see IMAGINE cover story April 2012) has been on fire as of late. Boris FX’s acquisition of Imagineer has augmented the toolset of Boris FX and helped push Boris FX to the head of the class when it comes to post production software plugins. The merger with GenArts has made them unparalleled and unchallenged in the video plugin space. There is no post house doing anything worthwhile that isn’t using Boris FX, GenArts Sapphire, or even both products. Both products are the number one and number two plugins in the video effect space. These plugins aren’t only used in creating special and visually stunning effects, but they are also both used in restorative applications too. They can clean up old footage and remove blemishes from transfers from old film. I have even spoken to people who use these products in forensics to help solve crimes. These plugins both entertain us and help us and I can’t say enough good things about either of them. To many people, the ultimate dream package would be a package that offers Sapphire and Continuum Complete, the flagship products of both respective companies. However the reality is this may not happen as in Boris’ press release, it’s noted that the Sapphire will be sold and developed on its own. So editors will have to wait a while to get the ultimate bundle of plugins. So all this celebrating aside, you have to ask yourself, “Is there anything that can go wrong?” Well if you don’t have competition you don’t really challenge yourself. There will always be competition for Boris, as there are many other plugin companies out there, but none of them have the size and scope that Boris now has. Most post production plugin companies have less than a handful of people on staff. Most software plugins are written by the same people who are out there selling it. If Boris and Sapphire are developed separately as they are today, perhaps some interoffice competition will drive both products with the winners being anyone using the products. Also, this merger could make Boris so appealing that an even bigger company could acquire Boris in an attempt to make the product line exclusive to their editing software. If Apple comes to Boris Yamnitsky with a tractor trailer full of money and a life on the beach, who is he to say no? Taking Boris and GenArts and making them exclusive to one editing software platform would truly be devastating to any competition. If Adobe purchased all these plugins and made then exclusive to Premiere, it would give Adobe such a competitive advantage, that I don’t think Premiere’s competition could ever match it. In other post production plugin news, BlackMagic has made two acquisitions, in Ultimatte and Fairlight. 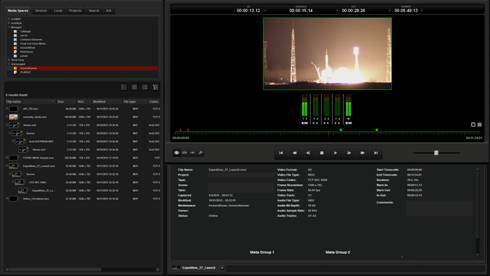 Fairlight firmly puts Black Magic in the post production audio space, and many speculate that Ultimatte will now be bundled with Resolve. With all this news coming, it’s going to add some excitement to NAB 2017 seeing how all this unfolds. So what is next? Maybe a Boris and Izotope merger in 2017 making one big New England mega-giantall-in-one-plugin-distributor? Only time can tell. But, in the meantime, if you haven’t used both of these products, please, do yourself a favor and sign up for the watermark-free trials that both products offer and see what you have been missing. Steve McGrath is a Broadcast Sales Engineer for HB Communications. You can reach him at Steve.McGrath@HBCommunications.com. Learn more, visit www.HBCommunications.com. There is a unique parallel between Massachusetts and Hollywood. Massachusetts’ technological sector drives how Hollywood makes their films. Most of the press in covering the tax credit will cite the benefits helping the smaller businesses such as the hotel and restaurant industries, and it does do that. People who have publicly been benefiting from the tax credit are the tradesmen industries such as electrical or construction for sets. All of the local press will talk about those industries, but not the technological sector. But To further this point, we can compare how the post production industries are going in the neighboring New England states – specifically listings for production workflow and editing. Let’s compare what the film office websites for the respective states have tax credits – Massachusetts, Rhode Island and Connecticut. 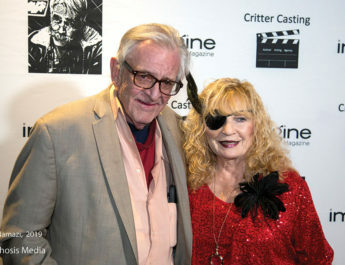 Those states’ respective film offices have a combined 87 listings – 28 for Massachusetts, 20 for Connecticut and 39 for Rhode Island. What is being overlooked is how Hollywood filmmaking is now driving the technology sector in Massachusetts. The relationship has matured to where both sides are now benefiting. The part of the tax credit the specifically helps technology is from the “Production Expense Credit”. So what does that include? If an out of state production needs software, hardware, technological employees, film processing , sound, editing, high-salary employees, location fees and rental services. So if an out of state production needs spot editing at one of Massachusetts’ post houses, that would be covered. If they need hard disk storage for media from one of the many hardware manufacturers, that would also be covered. If they need to hire a local specialist to help on a film, that would be covered. And if they needed rental services from one of the many rental houses in town, that would also be covered. None of these businesses are getting the attention of the media nor the law makers. On the Mass Film website (www.mafilm.org), you can see that Massachusetts production resources are very abundant. There are 28 businesses offered to out of state productions for production workflow and edit systems. There are 31 businesses for VFX and Animation and there are 27 businesses in the Post Production Audio Services. Now there are companies that offer a combination of these services, so the actual count of unique businesses is 59. If the film tax credit disappears, rest assured, some of those businesses will fail. When we compare to states that have no tax credits, the numbers get much more slim. The northern New England stats have just 35 listings in the field for production services. Those states’ respective film offices have much smaller production workflow services – 30 for New Hampshire, 5 for Maine, and Vermont is unlisted. interchangeable to television. But film makers choose the states of southern New England for the tax break obviously. such as Glidecam. All of these tools in integral in the creation of film and television. There are national companies that have invested in Massachusetts over the past decade. There are also local offices for Adobe, Autodesk – although Massachusetts is not their respective national headquarters. All of this business popping up is not coincidental, it goes hand in hand with Massachusetts’ ride to prominence in the film industry. It only makes sense that the tool makers to the industry are near the people using the tools. Massachusetts will never be Hollywood, but with one of the United States’ major exports being film and television, it only makes sense that we tap into the now national film and television industry and try to harness it for job creation in the state. If Hollywood is #1 for film creation and New York City is #2, why couldn’t Massachusetts rise to #3? The Summer of 2016 will be a great time to go to the movies if you are from Massachusetts. We have Ghostbusters 3 and Central Intelligence coming out which are both going to do great at the box office. HBCommunications.com. Learn more, visit www.HBCommunications.com. Then there are other variables as well…things such as the need to view media remotely on the go, having a bunch of editors and collaborators using different software, and having your client’s expectations and needs change during your time working with them. There are many companies that offer different solutions to each of these dilemmas. Finding the one company that did it all well was like hunting unicorn…impossible. But post production professionals can rejoice because there is a company that does it all, and they are snuggled deep into Allston, Ma. EditShare started as a company that did only shared storage, but as the post production industry evolved, so did EditShare. EditShare has opened up their offerings to solve every problem you could ever encounter when creating content and delivering media. They do so much now, that I would argue that the name “EditShare” does not accurately show what they are capable of. I recently attended a four day long seminar in their Allston home base. In those 4 days, EditShare had an international audience whom they gave a deep dive into all of their products. EditShare’s reach is growing year over year and they are now a staple in the international post production industry. This month in Tech Edge, I will give you a primer on each of EditShare’s offerings. They are available end to end or a la carte. Whether you need to build a complete post production workflow solution, of fill in a hole that you are currently missing, EditShare can help. With file based video creation and delivery now the norm, it seems that baseband capture and play out has moved to the back burner. Baseband video capture used to be something that you would outfit for each edit bay with its own video capture devices. Baseband video capture has moved to the server room. Facilities now will get one server that does baseband video capture and just capture that media to a shared storage where people can all use the media in real time. Video capture used to be done with an editing application, but now people will do it with a small application (as EditShare does) or even in a web browser. Geevs is EditShare’s answer to this problem. Geevs Client is EditShare’s client software that enables you to set up all these fabulous baseband video captures. Shared storage used to be something exclusive to server rooms with big heavy iron servers. EditShare has created a field shared storage device called XStream Field 2. They also offer the traditional server setups as well, however, XStream is the only shared storage appliance that can fit in an FDA regulation size airline carry on bag. This makes what was once unimaginable, collaboration on the road, the simplest ever. XStream supports up to fourteen direct ethernet editing clients, or a 10GB fiber connection to uplink to a switch for even more editing clients should you need it. There is also no need to bring an IO device for baseband capture either, as Stream has two SDI ports directly on it. For total editing video stream count, the device supports eight streams of DNx145 or ProRez 422. This makes Stream that most versatile shared storage divide on the market. Organizing footage can be a daunting task. It is one thing to capture a clip of video and keep it on shared storage, but it’s another thing to make that media easy to search after the capture. The Flow line from EditShare offers easy media searching, cloud-based metadata management, task automation, logging and some ingest. Flow offers the easiest metadata tagging I have ever seen. Flow allows you to create one click tags of keywords that you would search for, and not only that, you have options to make tasks mandatory. This prevents employees who cut corners with metadata tagging. You can force tagging on checkin. But you and your employees will likely not mind this at all because Flow makes metadata tagging an actual enjoyable experience. I found tagging metadata with Flow to be as easy and intuitive, that I would trust a child with it. Once your production is done, you have hopefully done a great enough job to score another gig. Now you have to wonder how you are going to make space on your storage for the next job, while keeping the media from your previous job available should that older client’s media may need to resurface. This is where Ark comes in. Ark is EditShare’s archive solution. Do you want a LTO tape based archive? No problem. Do you want a hard disk based archive? Also, no problem. Ark Tape will give you the LTO deep archive you need and Ark Disk will give you the near chive you want. Some might ask, “what is a ‘nearchive’ exactly?” Well a near chive is a disk based semi-archive were facilities will keep low bandwidth proxy versions of their media for playback. Near chives will usually house your full resolution media as well, but real time playback can get dicey. Some of the great things that Ark can do are email you when your archive and/or restores are done. It can also do partial restores of media. Need only two minutes of that three hour long clip? Ark will restore only that two minutes you need. It also supports automated nightly backups. Steve McGrath is a Broadcast Sales Engineer for HB Communications. He has worked with NBC, ABC, CBS, NESN, NECN, Fox, ESPN, Pentagon, Powderhouse and many others. You can reach him at Steve.McGrath@HBCommunications.com. Learn more, visit www.HBCommunications.com. Interview with Lisa D’Angelo from Rule Broadcast Camera. This month in Tech Edge, we are going to talk to someone I have seen at many local trade shows, but yet haven’t had the opportunity to meet. She is truly out and about in the Boston production scene. We are going to interview Lisa D’Angelo from Rule Broadcast Camera. Hi Lisa, can you start by telling us about yourself? some phenomenally talented people and learned a lot. What’s new for Rule Boston Camera? We’re looking forward to offering more weekend workshops in addition to our ongoing Learning Lab Series, plus more Pub Nights. All three events are a great way for those working in the industry to share their expertise and to generate some great discussions with our guests. We’re also excited to share more from the very talented staff here at RBC. You started at WGBH, can you tell us how the television industry has changed since your tour of duty at GBH? Has it gotten better or worse? And how? It’s been awhile since I’ve worked in production or post, but from what I see of that world, technology and content distribution have changed everything. Film, video and media-makers can shoot footage with a $40,000 top-of-the-line digital cinema camera or a $600 iPhone. Granted, there’s a huge difference in how that footage looks, but technology combined with all the options for content creation has made it much more accessible than ever before. Rule Boston Camera has always done an outstanding job of community outreach. What is your role in that? I was working as a Project Manager at Rule when John outlined his plan for outreach. a soup-to-nuts overview — and then it’s all about customer service and support from the entire team at RBC. Where do you see the post production/broadcasting industry going in next five to ten years? From the user perspective, there are huge changes between cloud-based technologies and how we use it on a daily basis to how we watch TV and movies on the web – through Netflix, Amazon, Hulu and other subscription-based services which have changed the landscape. I think we’ll see big changes there. Why Does Tech Support Always Ask Me To Reboot My Computer? When you power any computing device on and off, it may seem like there is nothing really going on, but there is so much going on behind those scenes that most people aren’t aware of. When you install an application (or App) on any computer or smart device, that application will take up resources that your computer is using such as the ram or the processors. It will also have background actions, also known as services that are supposed to start up automatically with it. Services are parts of applications that run independently if you actually launch the application. For example, it you install Spotify to listen to music, Spotify will start up every time you start up your computer. If you install something simple like Quicktime, it will look for software updates every time you start up your computer. Most of your software will automatically look for updates from your top tiered media creation software down to your web browsers. 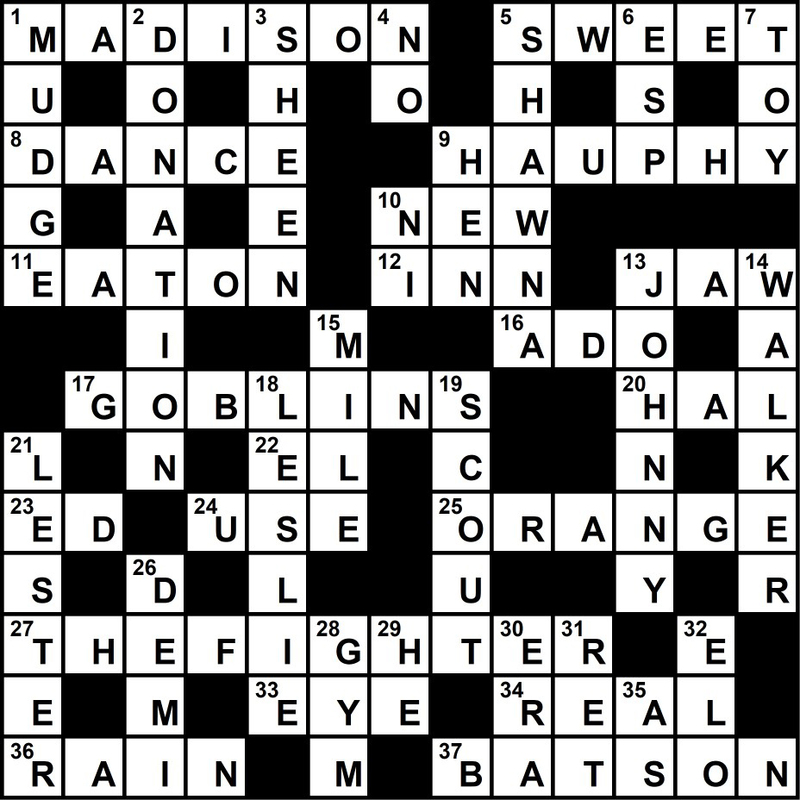 You multiply this by all the applications on your computer or smart device, you can see how this adds up very quickly. The problem is that these services take up computer resources such as memory or processing power. Under normal circumstances, your computer can easily handle it. But there are circumstances where the companies that write applications sometimes make mistakes (famously known as “bugs”). The most common bug is a memory leak. This is where an application will request memory from your computer and then forget it received it. It will then request memory again, and your computer is very reasonable, so it will give it. And this happens over and over again until your computer dehydrates itself of its own memory causing it to lock up. A very noble action, but not very practical. When you reboot your computer, every application and service also gets restarted and your memory is restored. There is no way to avoid memory leaks. There is no amount of preparation that you can offer your computer or smart device. The problem lies entirely in the companies that are writing your application. The best applications and the worst applications all have memory leaks. Memory leaks have always existed. These problems are usually fixed (or sometimes just alleviated) in software updates. We know that there is no way to prevent memory leaks, but there are ways to prove that there is a memory leak to see what the culprit is for your computing problems. For Mac users, you can monitor memory usage by going to Applications/Utilities/Activity Monitor. This application is the virtual security camera of your Mac. It will give you a great read on everything going on behind the scenes. It’s amazing to see what is going on behind the scenes as your computer sits idly with a blank desktop. You can filter and sort applications by how many rescues they are using. So it gives you an instant read on what is hogging resources on your computer. Windows users can access the same information by launching Resource Monitor. Both applications are installed by default in your operating system. Memory leaks aren’t the only reason why rebooting helps. Sometimes networking settings get corrupted, sometimes applications crash and in doing so maintain ownership of vital operating system folders, it can be any number of things.